I always find something very sad and lonely about park benches during the winter months. I often wonder if these benches had feelings then how would they feel during the winter when literally nobody wants to sit and spend a bit of time with them. I started to think this myself as I sat on this exact bench only a couple of minutes before taking this shot. I had just bought a coffee in the nearby boat house restaurant and decided against sitting inside on such a beautiful winters morning. Don’t get me wrong here it was actually bloody freezing but still I always think if the sun is shining then get out and enjoy it. When you live in a county like Ireland you really do tend to appreciate these kind of sunny winters days. When I open the curtains in the morning during the winter and see just a sliver of sunshine I usually make up my mind to get out and about in it. To purchase a signed 11×10 inch print of this photo, just click the button below. 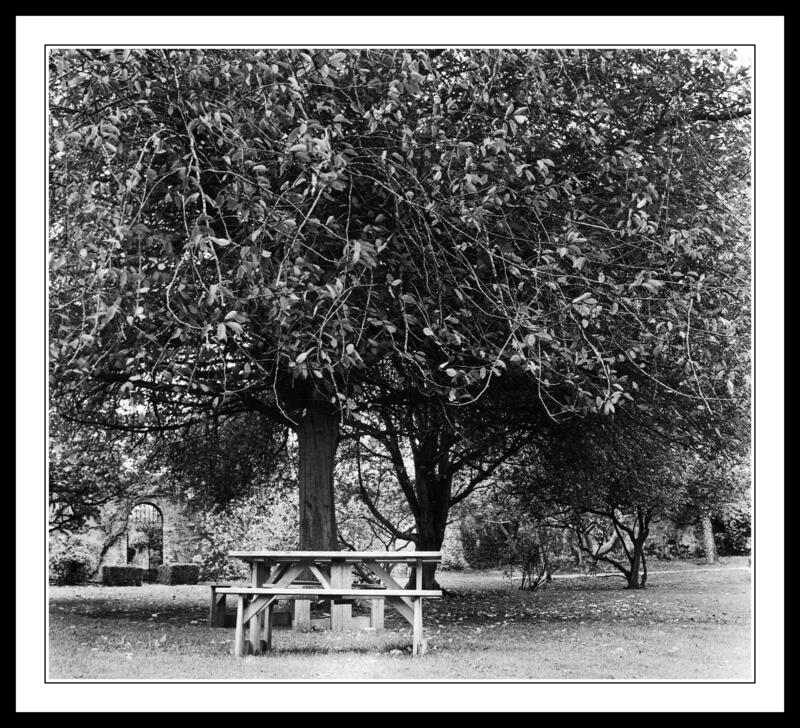 This entry was posted in Black and White Photography, Farmleigh, Film Photography, Irish Landscapes, Phoenix Park, Photography and tagged Black and White Photography, bronica medium format, Farmleigh, Film Photography, Kodak Tri-x, Medium Format, Phoenix Park, Photography. Bookmark the permalink. Your kind words are giving me big head. Lovely picture. I’ve been seeing a lot of lonely benches lately and they are sad. Yet I also find them to be so serene. Maybe they want to rest as well. Totally agree with you on that one. Maybe they are calling us to come and sit down for a while, thats my excuse for being such a lazy bones anyway. Some of my best photographs have been taken whilst sitting on a bench, you do tend to look around you a lot more when you sit still for a little while.